Nowadays, technological advances are becoming more and more important in forensic sciences. Yet autopsy is still one of the very traditional methods. 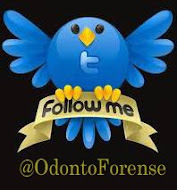 This also applies for dentalautopsies, in which visual, photographic and radiological evidences are collected. In this context, Virtual Autopsy appears as a helpful and complementary tool for dental and medical cadaveric examination. Usinghigh-tech radiological approaches, Virtual Autopsy may provide, through images, an efficient and more accurate view on the individual case. This critical review aims to update the dental professionalspresenting the first national paper with explanations on Virtual Autopsy. Article published in: Rev Odonto Cienc 2012;27(1):5-9.